Each of these Mini Nutcrackers measure approximately 6cm wide by 20cm tall, making them the perfect size to complement a collection or add to a grouping. These funny wooden soldiers are dressed in their traditional garb, and each display their own distinct personality and persona. These would be a lovely, quaint accent to add to a holiday tree. They each have a securely affixed cord near the top to make hanging them a breeze! 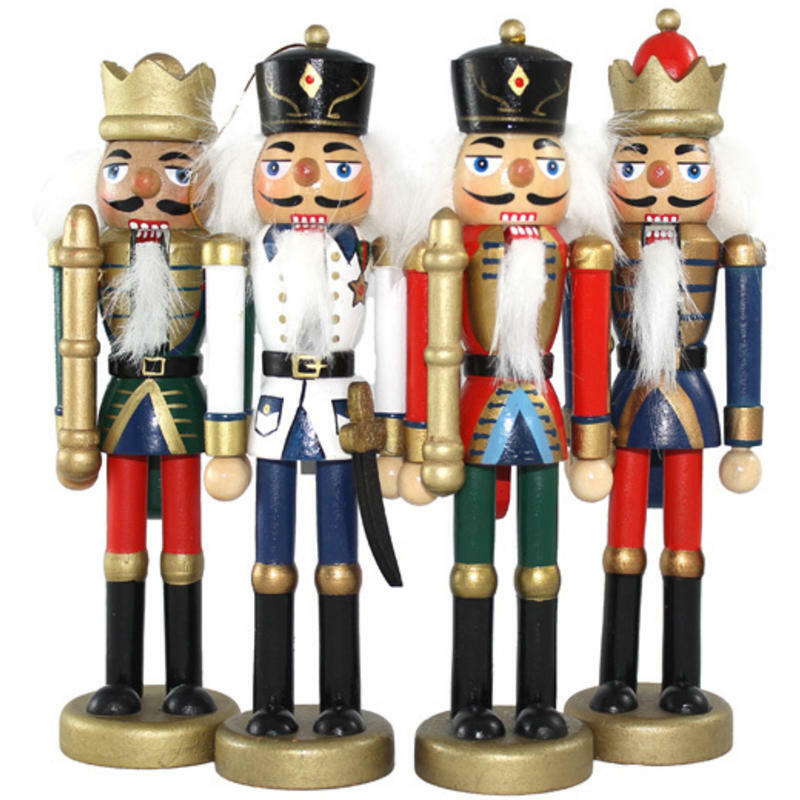 These might also be a wonderful addition to a Christmas village or holiday display, providing a traditional nutcracker guard to the scene. These are also very easy to tie in place, such as on a balsam wreath or a wrapped gift, to bring a bit of whimsy and magic to the season’s conventions. Whatever you do with these fine fellows, be sure to keep a couple for yourself. When you see how charming and cute these are, you will have a hard time giving them away!